CHAN Eagles yesterday secured their place in the semifinals of the African Nations Championship (CHAN) with a 2-1 hard-earned victory over the Palancas Negras of Angola at the Stade Ibn Batouta in Tangier, Morocco. 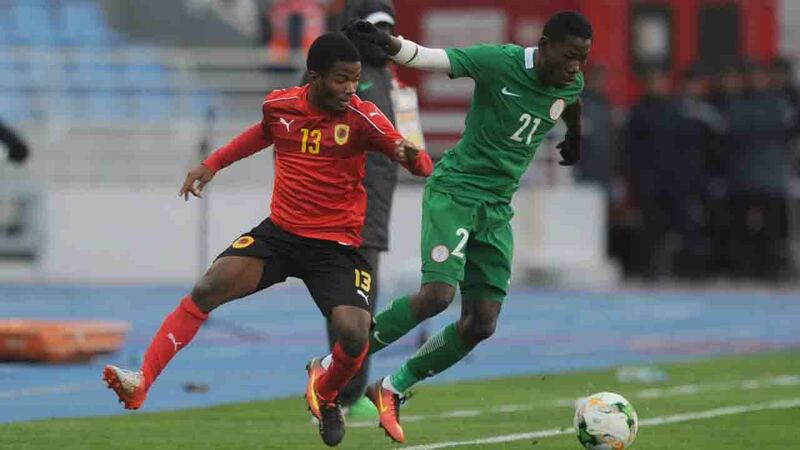 Substitute, Okechukwu Gabriel’s solo run ensured that the Eagles confirmed their rating as the game favourite to advance to the next stage of the tournament. Nigeria will now meet Sudan on Wednesday in the semi final clash. Vladimir Vá’s goal in the second half put the Angolans in the driving seat until Anthony Okpotu equalised in a stoppage-time. Okpotu missed a golden opportunity to put the Eagles in front in the opening 21 seconds of the duel. The Palancas Negras almost made the Eagles to rue their wasted chances as they gained the upper-hand in the closing stages of the first half. Goalkeeper, Ikechukwu Ezenwa was remarkable in goal for the Eagles and the shot-stopper pulled off three great saves to deny Calesso Manu within the space of six pulsating minutes. The game continued to ebb and flow following the interval with both teams missing further chances before Vá’s opener in the 55th minute. Timothy Timothy unlucky as his attempted clearance cannoned off the Angolan midfielder and into the back of the net. Nigeria pushed forward in search of the equaliser, but a place in the final four threatened to slip from their reach as Gabriel squandered two gilt-edged chances in quick succession. The forward watched on in agony as his header attempt cannoned off the woodwork, onto the Angolan goalkeeper’s head and away from danger in the 77th minute. This before skying a shot over the crossbar with only the shot-stopper to beat seven minutes later. Like Okpotu, Gabriel would also make amends as he struck home what would prove to be the winner in the second half of added time. The forward weaved his way past two Palancas Negras defenders before firing home a left-footed shot into the back of the net from the edge of the area to send the Super Eagles fans into delirium, and Nigeria into the semis.